a great way to stay fit and healthy! sponsoring employee/member resides and sign up at the same time as the NYC Bar member. he NYC BAR member must also be an NYHRC member for the spouse to enroll and proof of marriage is required. 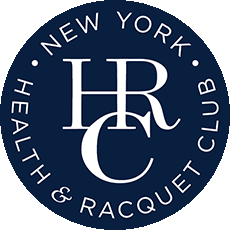 • Eligible NYC BAR MEMBERS and EMPLOYEES may enroll for just $99/month (6 month commitment) or paid in full for $1,045/12 months -spouses or significant others are eligible too. • Close to 600 weekly classes including: Yoga, Pilates Mat, HRC Cycle, Zumba, Kick Boxing, Tai Chi, Boot Camp, Gyrokinesis, Aquacise, Kangoo, Belly Dancing, and much more. • State of the art Cardio and Strength training equipment. Complimentary personal training session upon enrollment; thereafter purchase price of personal training packages vary depending on level of trainer. • Squash, racquetball, and basketball courts at various locations. • Pools, whirlpool, steam, sauna, and eucalyptus inhalation sauna at locations. • Locker & Laundry service available for rental service. Free use of daily locker, along with all toiletries. • Massage-Swedish, Shiatsu, Sports, Medical. All available for purchase and given by licensed massage therapists.